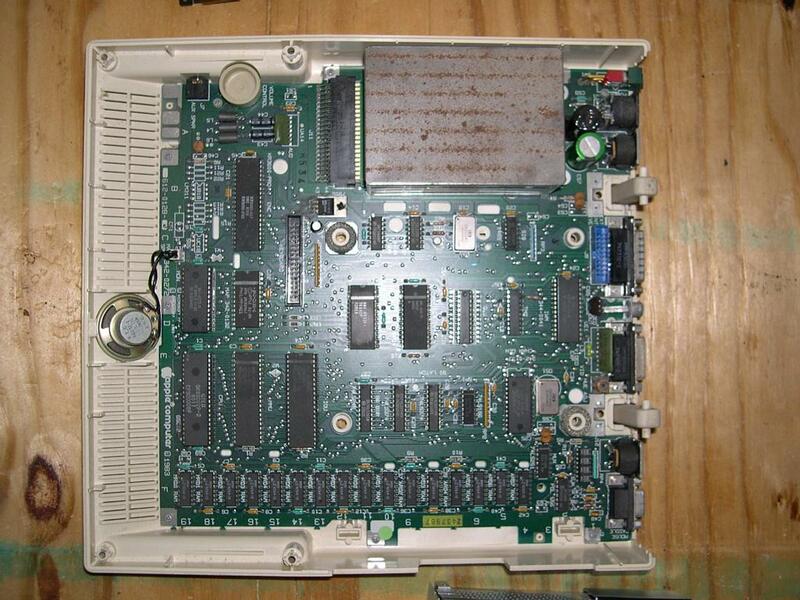 My Apple IIc setup, the inside of the machine with the disk drive removed, and the disk drive. The Apple IIc (c for Compact) project began in earnest, as something that Steve Jobs thought would be a clever engineering feat. In 1981, while Apple was working on the soon to be famous Apple IIe, Jobs had caught sight of the latest Toshiba portable, and decided that it sure would be a trick to fit the entire IIe inside a case of that size. The IIc project started almost immediately after the IIe was out of the development labs. The project was to be a IIe with 128KB of RAM, 80 column display, two serial ports, a disk controller and mouse controller in a case small enough to fit inside a business briefcase. Asides from the remarkable design problem of fitting so much in such a small package, another obstacle to overcome is now all too well known to PC users - heat. The little machine in such a tight enclosed case produced quite some heat with the disk drive clacking away. After working with various low power disk drives they discovered that using a series of well placed vents, the standard floppy drive remained cooler than the low power drives. The IIc used the newer 65C02, which had a number of extra instructions not available on the IIe's 6502. This allowed the hardware programmers to compress their code, helping solidify the IIc's smaller package. The IIe's expansion slots had to be sacrificed, however the IIc was to have 'slots' that were filled with devices, on board. The cards "onboard" were an Apple Super Serial Card, 80-column card, mouse controller and a Disk II controller. 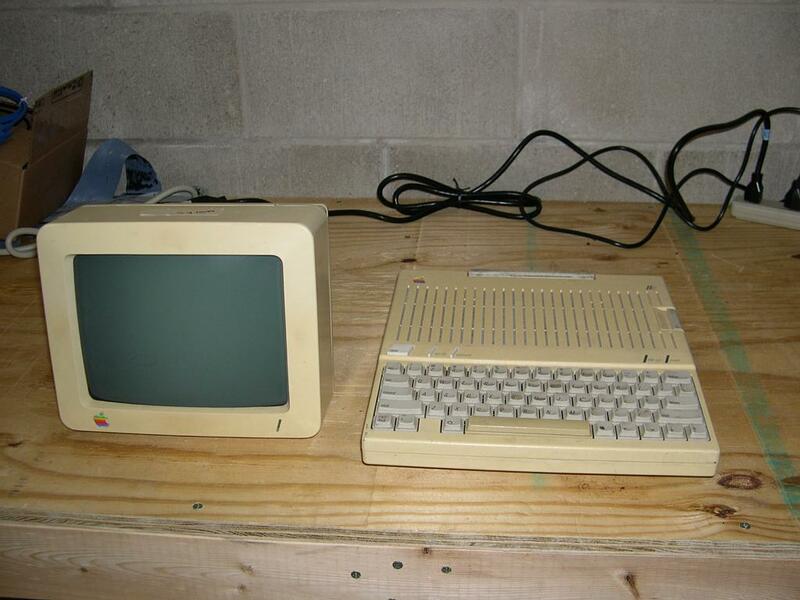 The Apple IIc was introduced at the 'Apple II Forever' event in San Francisco in April of 1984. Apple had planted people in the audience of dealers, and at the given moment of fanfare, when the crowd was asking to see the small IIc, almost two hundred people leapt up, waving their own IIc. Within minutes of it being brought out onto stage, over a thousand dealers and interested parties at the junket had their own IIc to view. Apple received around fifty thousand orders for the IIc before the day was out. The IIc had a 1.4mHz 65C02, and came with 128kB of RAM that was expandable up to 1MB (Although most of the upgrades were third-party and voided the warranty of the unit). 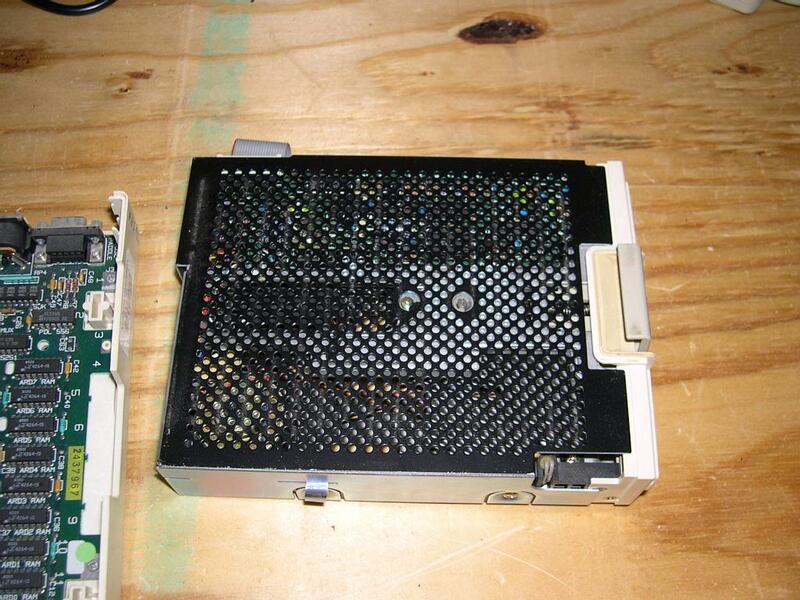 The machine came with a 9" green monochrome display (also could be hooked up to a TV, or a color RGB monitor, or even a special small LCD display), an internal 140kB 5.25" floppy drive, two serial ports, a mouse port and an external disk drive port. The Apple IIc went through four ROM revisions over four and a half years, and was replaced by the IIc+ with further ROM fixes and the new 800kB 3.5" disk drive. The last IIc+ was sold in November of 1990, so as to make way for the soon to be released Mac SE and Mac LC.